8 things you haven’t done this Sydney summer – yet! Manly Beach gets all the attention but just behind on the harbourside you'll find some of Sydney's best snorkelling at Cabbage Tree Bay. 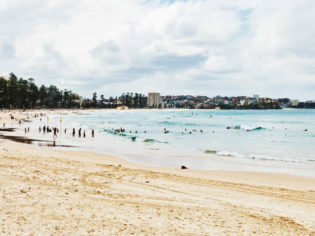 So you’ve seen the jet boats at Circular Quay and popped the Champagne at Icebergs, but what about some other Sydney summer activities around its famous shores? Freya Herring selects 8 things to do as the weather heats up that may have slipped your radar. 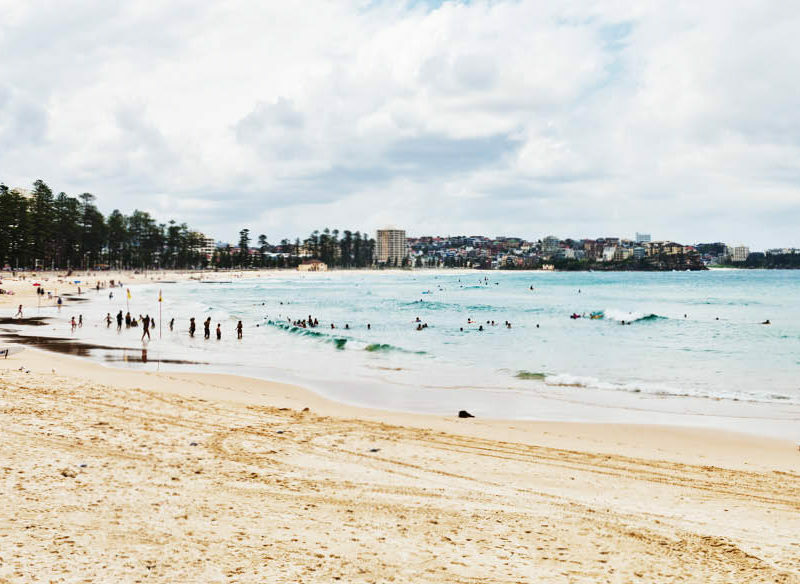 Swimming in a Sydney summer often means fighting for your place among the throng. Why not head out of the city to cool yourself down? At least there’s air con in the car. Try hitting up the Mermaid Pools in Tahmoor. It’s a spectacular waterfall that can only be found after a brisk 45-minute hike – and you need to jump in from at least 10 metres… BUT it’s much quieter than the famed (somewhat dangerous) Figure Eight Pools, and who needs to fight for space when it’s this hot, amirite? Strong swimmers only though please, this ain’t an activity for beginners. Like water? Love yoga? Then how about doing a yoga sesh atop a paddleboard? At Manly’s flow mOcean you can get your fitness on while splashing about in Sydney Harbour at a stand-up paddleboard (SUP) yoga class. It’s super fun but it’s also actually incredibly good for you – not having the natural balance of a stable surface means that core will burn like never before. Kayaking isn’t just for the ocean you know. In Sydney’s West you can hop on a kayak at Jolly Roger Kayaks and paddle yourself down the historic Parramatta River. Paddle past Newington Armory and Cockatoo Island, and check out mangroves and historic homes en-route. They’ll even show you how to commute to work via kayak and take your stuff back to base, so you need only do it one way. Like the look of that there Cockatoo Island? Turns out you can glamp upon its gorgeous shores, and feel a million miles from Sydney even though you are slap bang in the centre of it. You’ve eaten the fried saltbush at Bar H and the warrigal greens at Billy Kwong, but how about going straight to the source? The Aboriginal Heritage Tour at the Royal Botanic Garden will see you taken for a wander around the park with an indigenous person, who will teach you about bush tucker and the history of Sydney’s Gadigal people. Depending on when you go, you might see macadamia trees in full, blushing-pink bloom, wash your hands with foaming wattle leaves, or hear all about the once-booming oyster harvest on the water’s edge. Most Aussies haven’t been to the Great Barrier Reef, but have you even snorkelled at your local reef? Cabbage Tree Bay Aquatic Reserve on the Northern Beaches is a great place to start. The water is ripe with wildlife such as wobbegong sharks, cuttlefish and blue gropers – in fact, 160 different species of fish have been recorded in this little cove alone. Plus, you can get out of the water and head over to The Boathouse on Shelly Beach for a delightful lunch in the shade, and that’s a perfect day right there. If you want to pretend you’re in the Cinque Terre but without the crowds, head to Freshwater and Pilu’s latest offshoot, Pilu Baretto, for an Aperol Spritz as the sun sets and the temperatures begin to loosen into night. Try their $50 tasting menu, with dishes like handmade pasta and soft, warm potato bread with whipped ricotta and house-made bottarga. Head down to Clovelly to do a dive with a difference – you’ll be led along by an underwater scooter. You can choose to jaunt about on the surface or swim down to the ocean floor. It’s diving – but supersized.